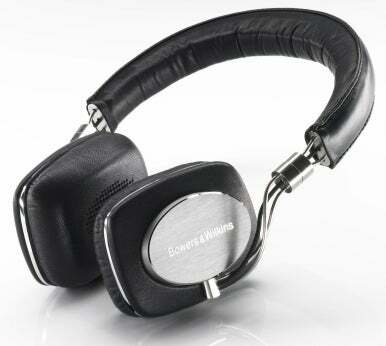 High-end audio vendor Bowers & Wilkins (B&W) this week announced the company's first headphones and first computer speakers. B&W entered the iPod-accessory market last year with the Zeppelin iPod speaker system, and expanded its presence last month with the Zeppelin Mini. 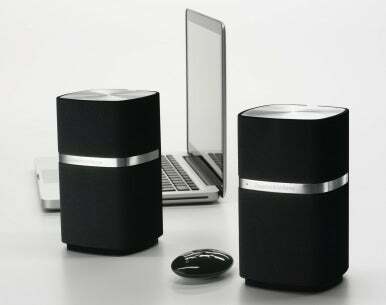 The MM-1 Computer Speakers are designed to connect to a computer rather than an iPod or iPhone. The system includes a built-in digital-to-analog converter and connects to your computer via USB for improved performance. (An analog-audio input is also provided.) The MM-1 also includes digital signal processing (DSP) to optimize audio output for the system's small speakers—the company says that the MM-1 can provide "full range sound" without a subwoofer. Each of the MM-1's speakers, 6.7 inches tall, 3.9 inches wide, and 3.9 each deep, hosts a 3-inch woofer and a 1-inch tweeter; the latter uses B&W's Nautilus tube design, similar to the technology used in the company's studio speakers. B&W says the MM-1 is optimized for near-field listening—situations where the speakers are close to the listener—but also performs well from across a room. The MM-1's remote, similar to the one included with the Zeppelin, controls the speaker system's volume, as well as playback in iTunes or Windows Media Player on your computer. The MM-1 also includes a headphone jack that takes advantage of the system's DSP to improve audio quality. The P5 is a set of full-size, over-the-head headphones designed, according to B&W, to provide natural, non-fatiguing audio reproduction. While the P5 doesn't use noise-canceling technology, the closed design blocks considerable external noise, the company says. For comfort, the P5 uses an ergonomic design and New Zealand sheep leather on the headband and earpads. The P5 ships with two cables: a standard headphone cable, and a cable that includes a Made For iPod inline remote. Compatible with the iPod, iPhone, and latest MacBook models, the latter cable lets you adjust volume and control playback; a microphone lets you make calls on the iPhone and make voice recordings. You swap between the cables by removing the P5's earpads, which are attached magnetically. The MM-1 and P5 will each be available in January, 2010. No pricing information is yet available. Updated 11/12/2009 12:25pm: added information about microphone on the P5.